Hello, everyone! Let us guide you through some news! After listening and analyzing feedback we have been receiving from you, our creative users, we have gathered the knowledge of each and every Moovly member to adjust and improve the platform to your needs. 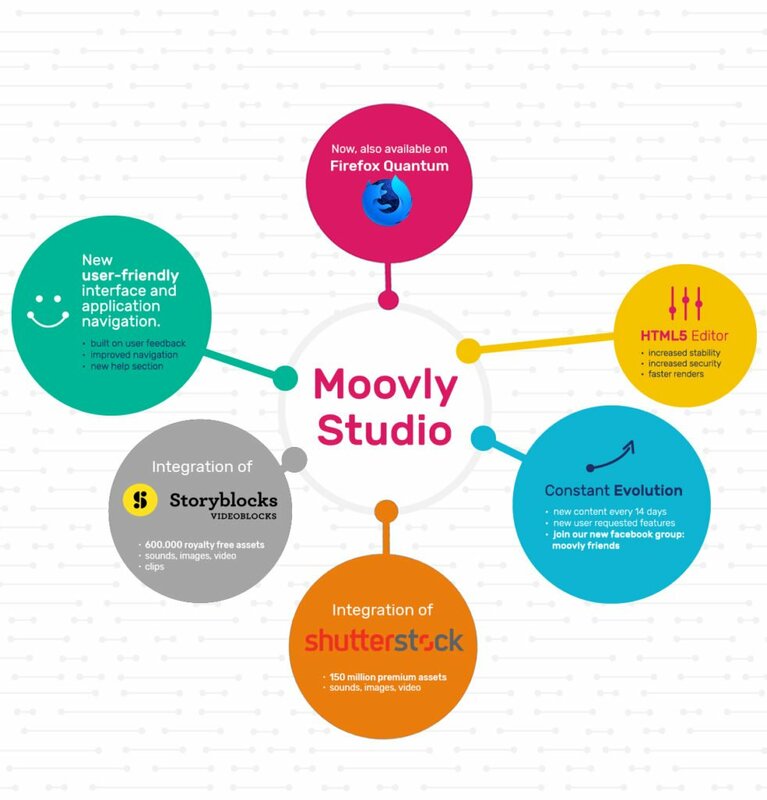 Thanks to your input and suggestions, as well as an extremely hard and dedicated work of our team, Moovly is now offering as much functionality and possibilities to discover in video creation as never before. Moovly has become a leader in content blending, helping to create engaging videos and share stories throughout the world. Now, we provide access to 1+ million royalty free images, videos, and sounds, plus 75 million premium content files from Getty Images, numerous innovative features, as well as enhanced customer support. Such expanded possibilities in video creation should be followed by a clear evaluation of the strategy in every part of our work. And, our introductory pricing plan is one of them. Read further to know more. We have avoided raising our prices for as long as possible, but we can no longer prolong the inevitable during to the clear advancement of the overall value Moovly brings to the space of video creation. It brings us to the main conclusion: introductory pricing offer on the Moovly Unlimited subscriptions is ending. However, don’t miss out on the details! ・This change will not affect your current plan till you decide to end it and start a new one! We cannot be more grateful for your interest in Moovly and support during our journey together! To show how much it truly means to us, feel free to consider this special offer: remain on our old pricing model by subscribing before November 28, and enjoy our lower prices till you decide to stop it (even keep it forever if you want!). You can still choose to pay only $5 per month (billed monthly) or $55 per year (billed annually), instead of the upcoming $49 and $299 respectively. The price adjustment is something we must do in order to continue to provide you with the quality you’ve come to expect. If you have any questions or concerns please don’t hesitate to contact us immediately. Our team is more than happy to help you! Choose your subscription before November 28 to take advantage of the last chance to keep your account on our lower pricing model! Create your own story today!